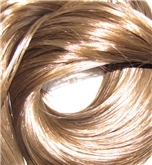 High Quality Asian hair for wigs, extensions and postiche work. Braided Wool Crepe- 14m length 500g. For use in special effects, adding volume, hair extensions and side burns etc. Special Offer European Hair 8-10" Dark Brown with Red Tones. May contain knitts.